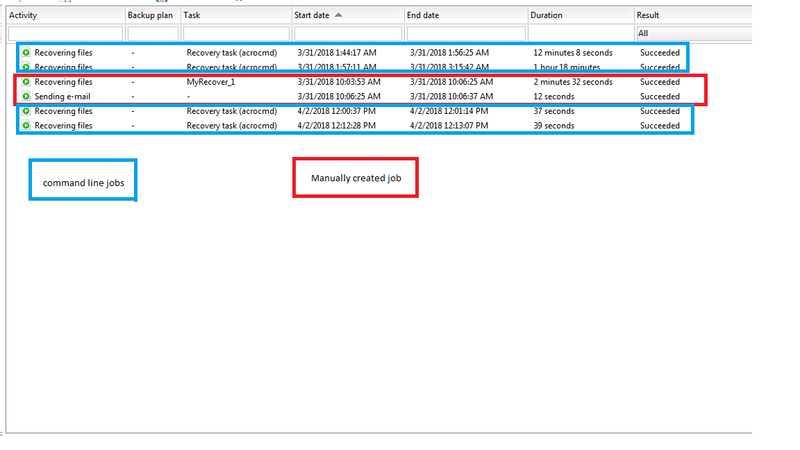 If I manually create/run a recovery, I will get an email indicating the job has finished. If I run a recovery using the command line, I do not. the job finishes and the recovery works 100% but no email notifications. Any thoughts or are there variables I can add to get an email sent when the job is done? Is there a chance this will be added in the next version of Acronis Backup? I see it is also not an option in 12.5. Certain improvements for CLI are planned, but this likely won't be the near future. Acronis Backup 12.5 is thought to be a web-based product, which is being managed by the management server. I've registered your feedback in our system.